On Saturday 22 December, Help for Heroes will be holding a Christmas shop in the Halifax Borough Market. 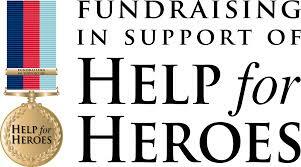 The stall will be in the borough market below Redland and they will be selling hoodies, t-shirts, and a wide range of H4H merchandise ideal for a stocking filler. There will also be 4 Hero Bears in attendance where children can get a chance to say hello and have their photos taken with a bear or all 4 if they are together, the bears will be about between 11:00am-12:00pm and 2:00pm-3:00pm, it’s also a good chance to raise money for a worthwhile cause. This entry was posted in Dec, Events and tagged Help for Heroes.